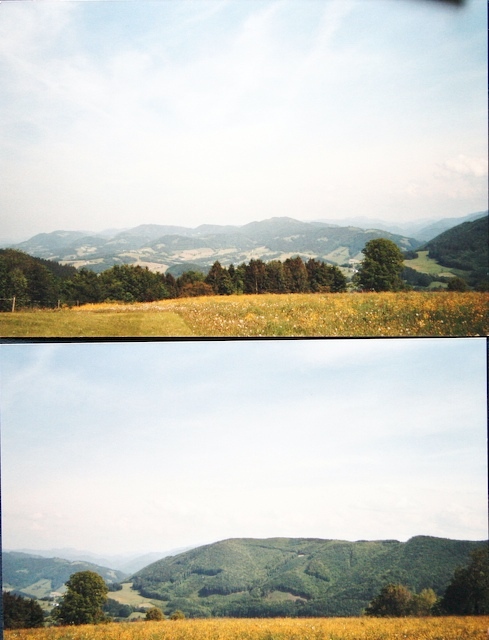 These are the views from the Sonnleiten farm. I am not entirely sure which is to the north and which the south. The southern view should be the more mountainous. The photo was provided to me by my cousin Annemarie.